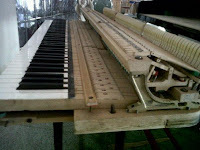 Regulation is more important like tuning.This kind of maintenance service is to set it back the Action from interference environment such as the climate change,the condition ( age,poor condition).These are the reasons why piano should have taking care to.Humidity causes the action not working properly sometime.It may stucked the keyboard,center pin,bushing clothes and other parts of the Action.Double hit hammer felt,sticky Action parts are the most criteria for such a case. 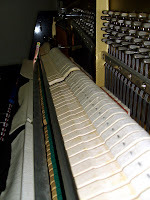 You may prepare the damp chaser for humidity control,but in the tropical country,we have to pay more attention for this damp chaser.We believe that all the things which is too much to take is not good.Use the timer control to prevent overheat .It may caused the sound quality,dried tone if we use damp chaser in an extreme hot day (tropical country).Six months maintenance continuedly is the best result for your piano.The piano technician will report to you if there is more action to fix .Of course there is price to negotiate. 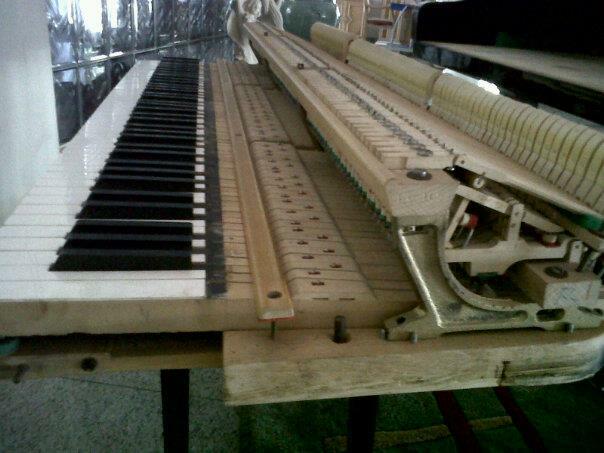 For tuning,and maintenance the piano you may call 021-92784915 or 0811-9954844 for Jakarta-Indonesia area.